Dr. Martin E.P. 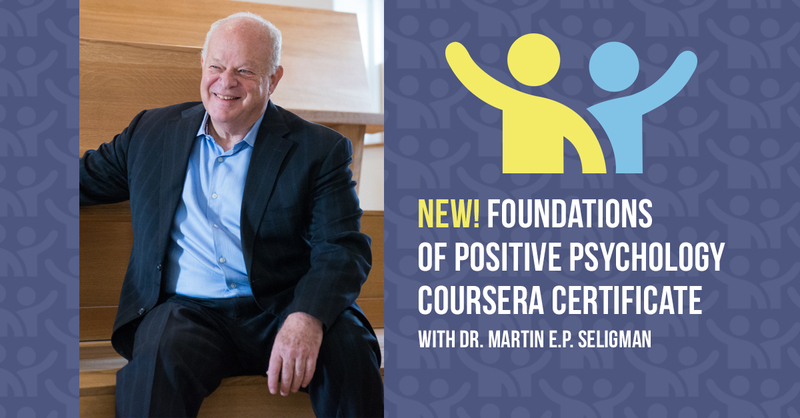 Seligman and distinguished faculty scholars from the University of Pennsylvania's Positive Psychology Center present Foundations of Positive Psychology on Coursera. This non-degree certificate program explores the theory, science and application of positive psychology. Enroll now and bring greater well-being to your life and work.